The Meghalaya Board of School Education (MBOSE) announced the results of the Secondary School Leaving Certificate (SSLC) or Class 10 and Higher Secondary School Leaving Certificate (HSSLC) or Class 12 Arts on Friday. The Meghalaya MBOSE SSLC 2018 results and MBOSE HSSLC Arts results 2018 was announced by the Board on its official website – megresults.nic.in. In the SSLC examination, as many as 28424 passed the examination among a total of 50077 with a pass percentage of 56.76 per cent. The top three positions are bagged by Sherwood School of Tura in Garo Hills. Anurag Tiwari of Sherwood School, Tura came first with a total of 581 out of 600. 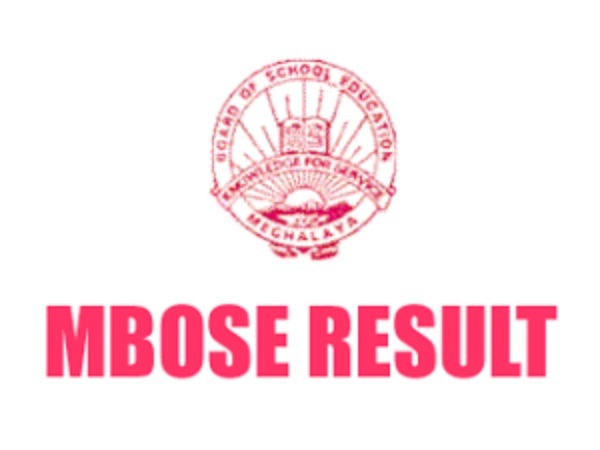 Trisha Seal Sharma came second with an aggregate of 573 marks; while Yash Khandelwal came third totalling 569 marks. In the higher secondary Arts stream as many as 17318 candidates passed the examination out of a total of 23160 appeared in the examination with the pass percentage being 74.78 per cent. Lily Kharthangmaw of St Anthony’s Higher Secondary School of Shillong bagged the top spot with a total of 440 marks. Susanna Kharmawshun of St Margaret’s Higher Secondary School of Shillong came close second with a total of 439 marks. Brinda Gewali of St Anthony’s Higher Secondary School of Shillong bagged the third spot with a total of 436 marks.